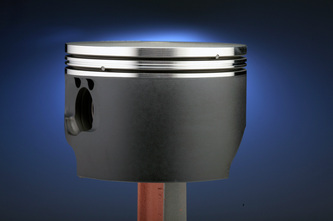 This is the baddest 3.3 liter OMC piston on the market withstanding enormous brake mean effective pressures. The Wiseco rings work incredible. 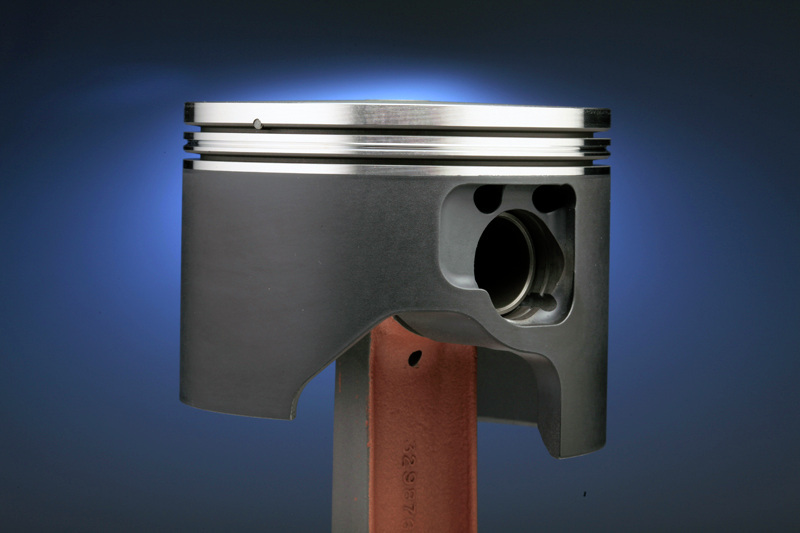 This piston at standard bore weights 515 grams.These pistons are designed to use the old or new 6.5 "Long Rod". Please use ONLY the large rod. Preferably 3/8th inch bolt BRP rods. The 86 and 87 small rods WILL break. We have changed the deck height (timing edge) of the piston by roughly 1mm shorter. This requires less port work for the engine builder and raises the wrist pin reducing side load friction. This deck height change saves countless hours of porting that is difficult and pain staking. 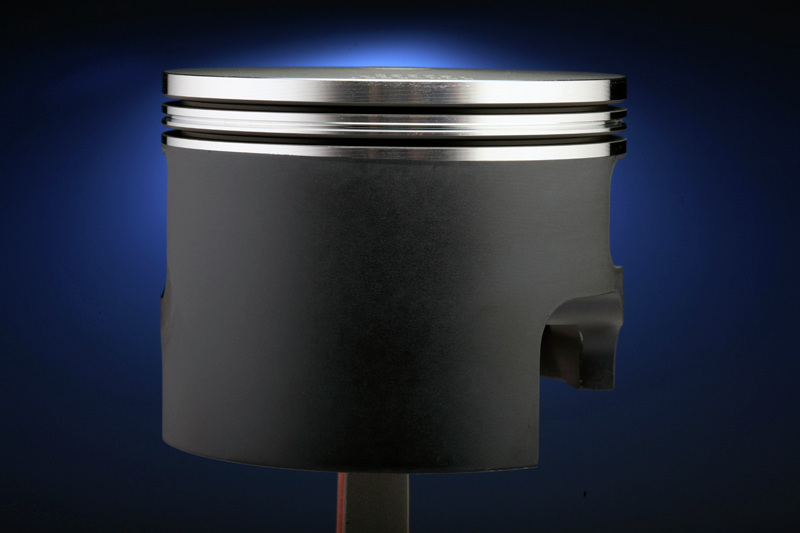 We have evolved this product over the years and we are proud to say that to this day this piston has never lost a race it has entered. We have chosen the standard 3.3 liter bore as larger pistons have not shown gains due to reduced port flow and direction. 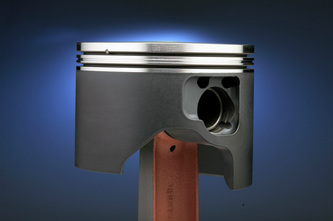 This is a 25 to 50 hp gain over the 3.0 liter piston. The torque of a properly built 3.3 liter is amazing. 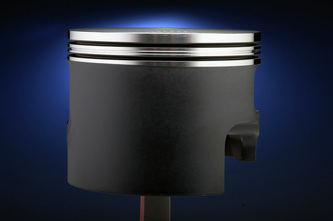 These pistons are now available in 3.685(std), 3.874(.020), 3.884(.030) bores. 040 are available and require a minimum run. Call if you are interested in the 040. 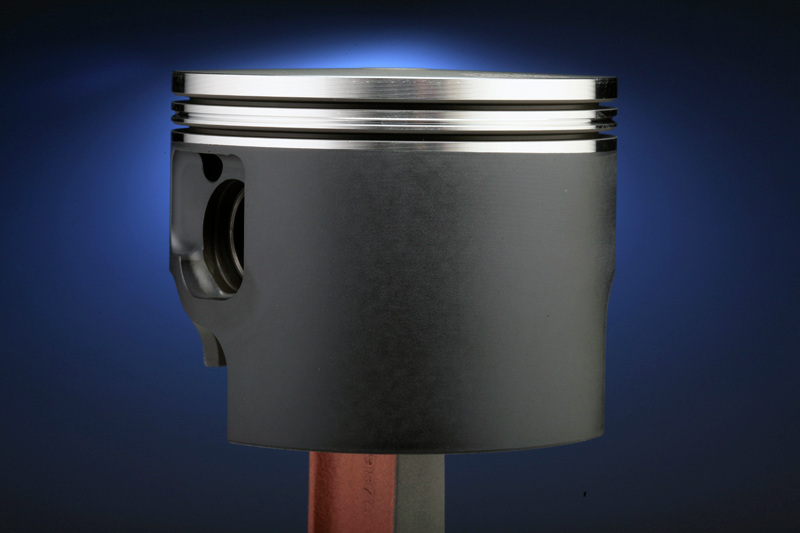 These 3.3 pistons comes with a strong yet light-weight 97 gram tapered wrist pin included with price of the piston. 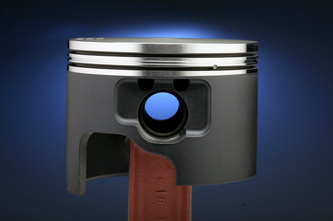 The B-Spec piston design features a small dome...1.5 degrees. There is a V pressure groove between the two rings to help reduce blow by. 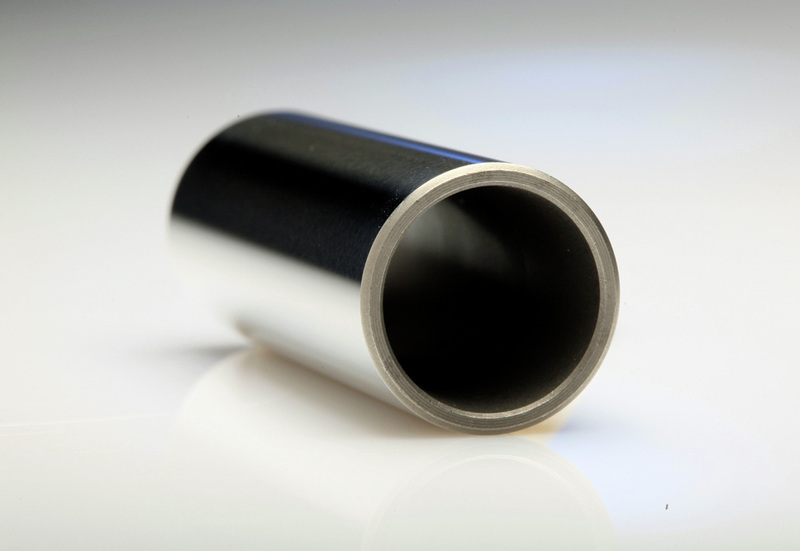 It is necessary to change the squish band and head configuration for use of this part. 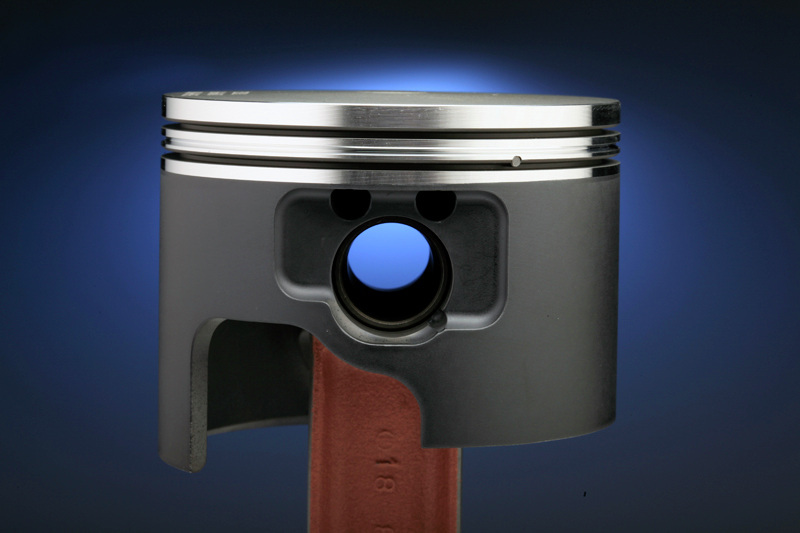 We build o-ring heads or you can modify what you have to eliminate the head gasket and run a proper 1mm or so squish band and o-ring. 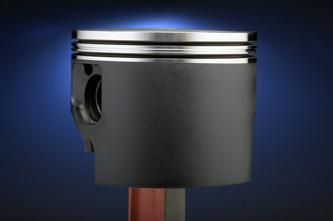 We can provide you with o-rings and dimensions for machining your heads. Designed for "behind the liner" porting, the intake skirt is shorter to help feed all rear boost ports. Transfer port feeds are huge and help attain that precious over-rev. 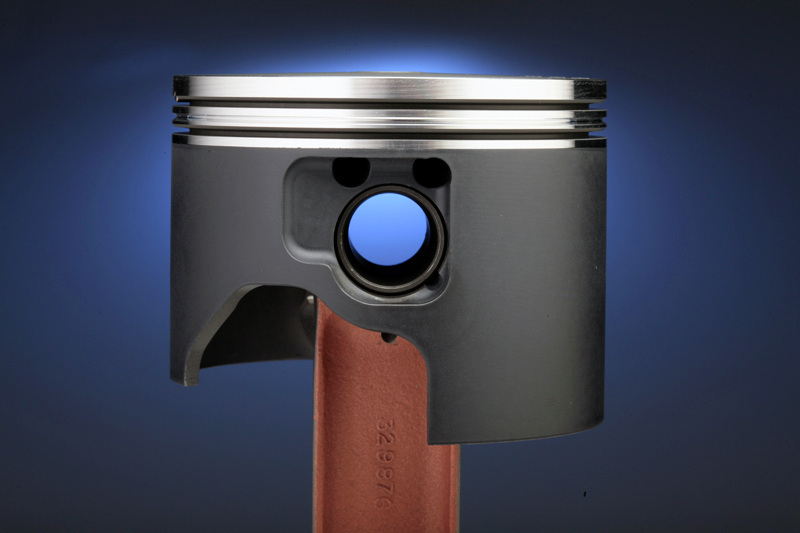 Both the ring lands and wrist pin bosses come standard with a hard anodized coating. Wrist pins do not stick as you can push them out with your finger. A secret slippery skirt coat is applied that actually works. If you want to make serious hp from any of the OMC blocks, this is a must. There is no replacement for displacement.